Yoga patents being granted by U.S Patents and Trademarks office: Does it mean anything ? By now most of you must have read or heard about the Yoga Patenting issue. 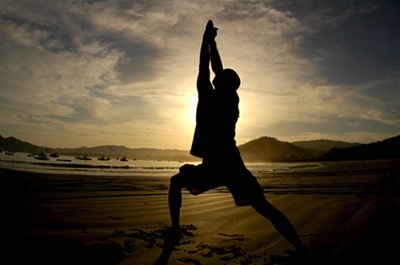 Media has widely reported the strong views expressed by various Indian organizations against the granting of copyrights and patents to yoga postures by the U.S. Patents and Trademarks Office (USPTO). I actually had a laugh when I read those reports last week. It is ridiculous for someone to go and file the patents on Yoga Postures, let alone granting them. If you ask any one who knows Yoga across the globe about who invented it, there is going to be unanimous answer. Yoga was taught and practised by Indian Rishis (sages) thousands of years ago. Patanjali Yoga Shastra was written nearly 5000 years ago in India. Most of the yogas performed today in India and West are mentioned in Patanjali Yoga Shastra. Infact, Yoga in its current form is not even 25% of what it was during that time. However, all the information currently available is purely based on Newspaper reports. Indian government is in touch with the US Patent Trademarks office (USPTO) to get authenticity and clarification on this Yoga Patent issue. As per the newspaper reports, USPTO has already issued150 yoga-related copyrights, 134 patents on yoga accessories, and 2,315 yoga trademarks. These patents were mostly filed by people on Indian origin living in United States. The postures or kriyas, as mentioned in ancient texts, have been known for thousands of years and Indian government can challenge the granting of copyrights on a premise that the product or the postures in this case are already known. There was a similar patents case sometime back for Ayurvedic medicine based on Turmeric and Neem which India won. To overcome this problem India has overtaken a big project on digitizing the formulations on traditional and alternative forms of Ayurveda. I guess we need to do something on similar lines for Yoga related postures and kriyas. this is the most ridiculous thing to happen. Only thing i am afraid is some day someone will patent sexual postures and hey we have a man asking for fees to screw ones own wife because a posture has been patented. Hai that is the way to srcew the world and make money.